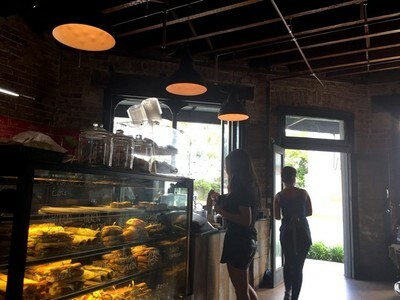 Sitting all on it's own on an intersection between houses in the southern suburb of Kogarah, Culture Bean Café is one of those places that you have to know about to know about, but once you know, you'll want to keep coming back. 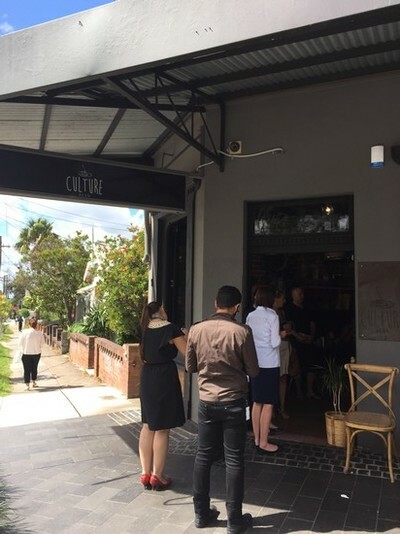 Culture Bean Café in Kogarah. Sporting that dark rustic industrial look; with its contrasting textures and combination of natural, manufactured and raw elements that's pretty much everywhere at the moment, Culture Bean manages to infuse a little extra personality through the assortment of little treasures, oddities and collectables that line the walls - the best of which is their bright red London telephone box which has been converted into something much more appropriate for the 21st Century - a fridge. Exposed bricks, chunky wooden tables and worn steel light fittings complete the look. As there is no table service and also no menu - it's all written on the kitchen's back wall, simply join the queue and place your order at the front counter. 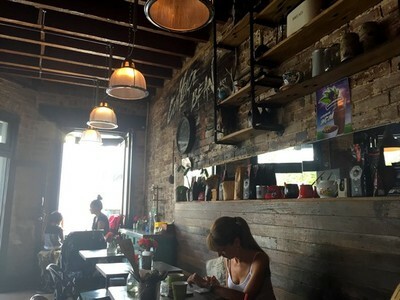 The collection of knick-knacks and graffiti style art give this place a little extra personality. A cooked breakfast is only available on weekends, but if intending to visit at any other time, fear not. Culture Bean boasts a well stocked cabinet filled with sandwiches, wraps, salads, yogurts and mueslis as well as stands, trays and cases brimming with muffins, croissants and cronuts - more on these beauties later. 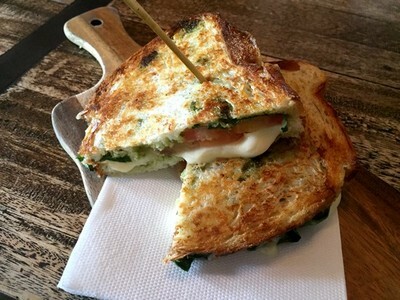 Simple and delicious - pesto, tomato and bocconcini toastie. are simple, yet delicious. Combining just three key flavours, the basil pesto, tomato and bocconcini sandwich ($10) is the perfect example of less is more, with sweet ripe tomatoes, fragrant pesto and gooey bocconcini coming together to make a pretty delectable sandwich. 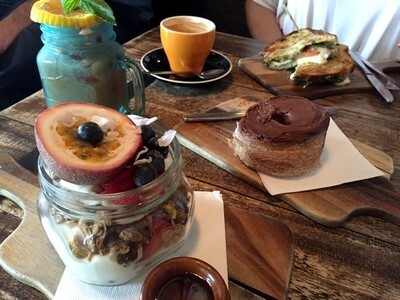 Culture Bean is renowned for their acai bowls which are topped with coconut, granola, fresh berries and banana. The thick, creamy acai puree has a sorbet like consistency and all the glorious fresh fruit make this a nutritious and tasty start to the day. It might not look like much, but this toasted granola with fresh fruit and yoghurt is super filling. 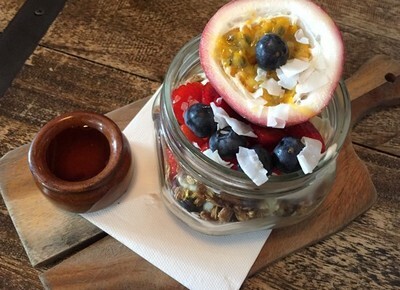 Similarly, served in a super cute mason jar, the toasted granola ($10) tossed with roasted almonds and cinnamon and served with lusciously thick yoghurt, fresh berries and passionfruit makes for a great, filling breakfast that satisfies all your sweet cravings without blowing your calorie intake. Flaky, buttery, rolled in sugar and covered in Nutella. Is there anything better? 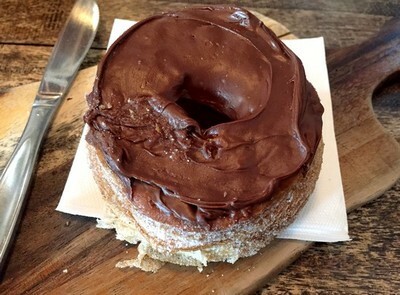 Something that will blow your calorie intake though is Culture Bean's Nutella cronut ($6.50) - it's totally worth it though, just go for a run or something, it'll all balance itself out. For those uninitiated with the cronut it is an invention of American origins (seriously who else would come up with something so outrageous?) that combines the doughy deliciousness of a doughnut with the tender flakiness of a croissant. A coating of cinnamon sugar and a thick smear of Nutella complete the decadent concoction. The cronut at Culture Bean, sourced from a local supplier, is just as glorious as it sounds and a must try for anyone with a sweet tooth. Fresh juice and rich, dark coffee from local coffee roasters. Where: Corner Gray Street and Queens Avenue, Kogarah, 2217. Cost: Approximately $15 per person. When: Open 6am - 4pm every day.